Each of our uncommon and distinctive Exploratory Varieties is new to the US market, and represents years of research and development. We work with breeders, international seed companies and local farmers to select the most promising grains and ensure that these varietals are agronomically stable here in the Valley. Our proprietary small-batch malting technology gives us an unprecedented degree of control of the malting process, allowing us to adapt the process to find the peak flavor and brewhouse performance of any grain. One of our UK origin series, Pilot variety was bred for high temperature stable beta amylase, which could result in a beer with higher attenuation levels (drier) and/or higher alcohol levels at the given mash temperatures using slightly less grain. Our Pilot base malts present fresh, biscuity notes, and is very suitable for big beers and British style bitters. Pilot base malts present an opportunity to explore new variations on wort flavor, with the potential to improve beer attenuation, particularly with higher-gravity brews. Beta Amylase in Pilot remains stable at higher temperatures, and is not denatured as quickly during a single temperature infusion mash between 150 and 160 degrees F. Pilot base malts are well-suited to all styles of beer. Skagit-grown Talisman winter barley exhibits our signature UK low-protein profile, as well as high extract, low levels of Beta Glucans and moderate levels of FAN and diastatic power (DP). 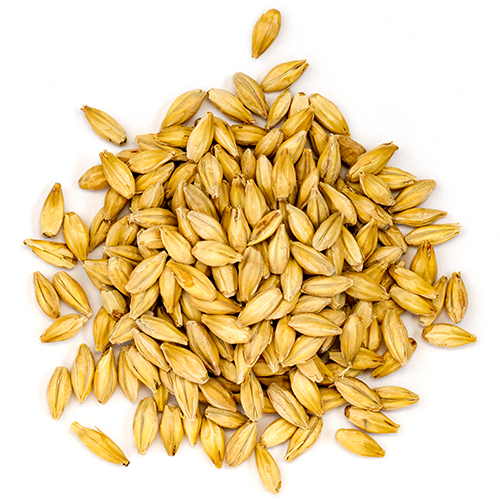 Talisman base malts are well-suited to moderate gravity ales in both English and American style categories. A two row spring variety bred by Washington State University to produce low levels of proanthocyanidins, a known cause for post-refrigeration hazing and staling characteristic. Currently, we are the only malt company working with NZ-151 - a robust, low protein variety with a distinctive flavor that grows exceedingly well in the Skagit Valley. Offered as a Pale Malt, it is suitable for all types of ales, especially those that may require longer aging and/or shelf life. NZ-151 base malts present an opportunity to explore uncommon variations on wort flavor, while also addressing the challenge of longer-term beer clarity. NZ-151 was bred to have naturally low levels of Proanthrocyanidins (a naturally occuring compound that is associated with both chill and permanent haze). NZ-151 base malts are well-suited to all beer styles, especially those for which longer aging and shelf stability are desired.